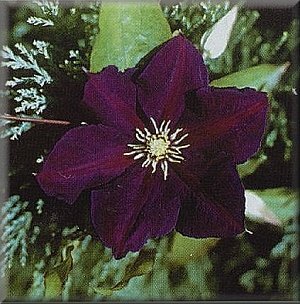 Large, dark purple-violet or red-purple flowers with a velvety sheen. Greenish-yellow and yellow anthers. The name is the title of a Polish revolutionary song.